If you want professional carpet cleaning Molash, contact AAAClean today. We are experts in all aspects of domestic and commercial carpet, rug, upholstery and curtain cleaning and we have the excellent 5* reviews to show that we are a business to trust. Our cleaning operatives are skilled and experienced cleaners and they can restore all types of carpets – wool, nylon, polyester, olefin, etc. – no matter how soiled and stained they are. It makes sense to get your carpets professionally cleaned if you want them to look as good as possible. It also makes sense to get them cleaned by a company who use hot water extraction (HWE) machines. AAAClean only use the HWE method because it offers incredible cleaning power and quick drying times. Book an appointment for Molash carpet cleaning and we will use a powerful HWE machine to leave your carpets in stunning condition. 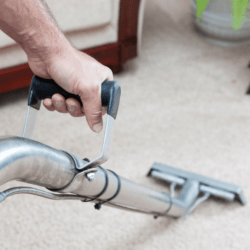 When we send a local Molash carpet cleaner to your property, they will arrive on time and correctly prepare your carpets prior to HWE cleaning. They will move as much furniture as possible and then pre-treat stains and heavily soiled areas with the relevant cleaning solutions. After an agitator tool is used to lift the carpet pile, a commercial grade HWE machine is used until your carpets are spotlessly clean from top to bottom. For more information on domestic and commercial carpet cleaning Molash and to book an appointment, call AAAClean today on 0800 023 5205 – our customer care team is available throughout the year. You can also book online if you only require domestic carpet, rug, upholstery and curtain cleaning. Whatever you require from AAAClean, we will always have the most skilled cleaning operatives on-hand using the best equipment and products, yielding excellent results time after time.